Hikers honor World Wetlands Day in Israel in 2012; their poster announces “Ramsar day — Israel 2012,” and features a recently-discovered endemic species, the Hula Painted Frog. Courtesy Wikipedia. It’s hard not to be passionate about the celebration of World Wetlands Day, since all of what you see on this blog, the unique landscapes and its wonderful critters — are dependent on wetland ecosystems! Officially February 2, World Wetlands Day is an international celebration of the planet’s marshes, swamps, and bogs. It marks the anniversary of the signing of the Convention on Wetlands, called the Ramsar Convention, on February 2, 1971 in the Iranian city of Ramsar. World Wetlands Day was first celebrated in 1997, and since then government agencies, non-governmental organizations, and citizens all over the world have aimed to raise public awareness of the critical value and intrinsic benefits of wetland ecosystems. Wetlands residents have suffered terribly due to increased habitat loss. 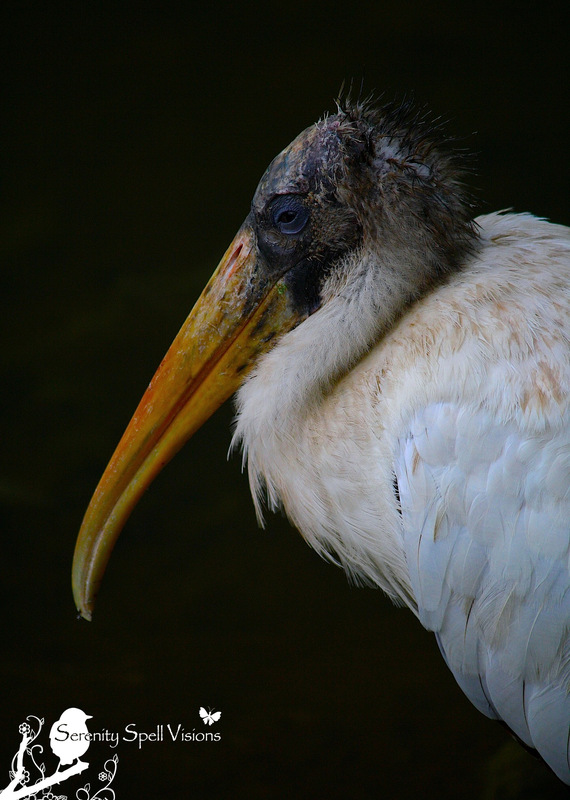 Throughout Florida for example — just to pick one critter — we witnessed a dramatic decrease in the populations of the already-endangered Wood storks, due to the decline and destruction of their homes, as well as what many believe to be extreme weather patterns (dry winter / wet winter) in the last few years. 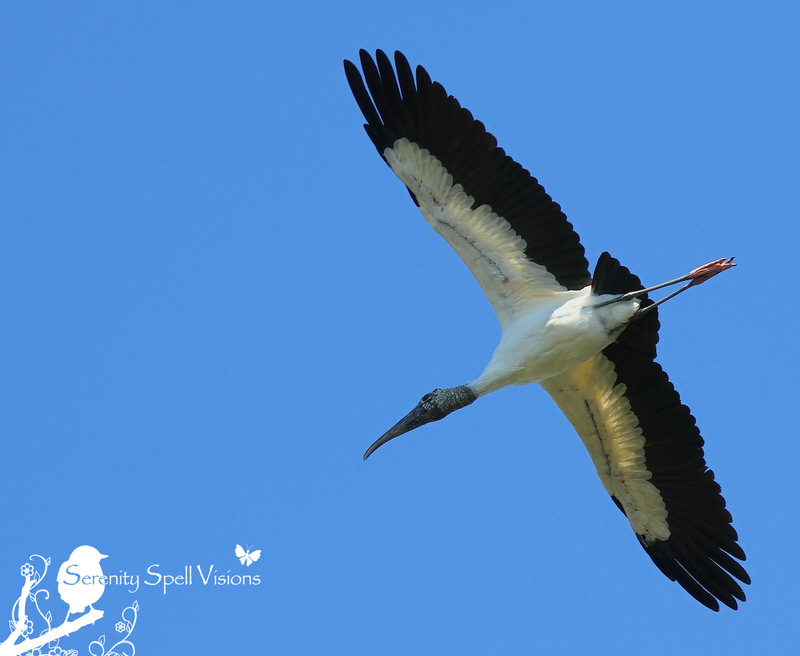 Like so many other wetlands-dependent species, the disappearance of the Wood stork would signal the loss of a crucial component of our wetlands. But it’s not all doom-and-gloom for this gentleman stork, as he appears to have returned this year — hoorah! Fingers crossed that our healthy wetlands will maintain their nests — and that awareness and education will help other species (though perhaps not quite as handsome as my gentleman, below). 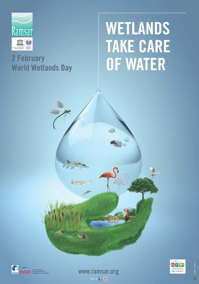 The theme for the 2013 World Wetlands Day is Wetlands Take Care of Water. Wetlands provide critical functions, including groundwater replenishment, water purification, flood control, and nutrient storage. They also offer biodiversity, if allowed to flourish. But their health depends on the quality and quantity of the water that reaches them. Visit Mother Nature Network’s article Happy World Wetlands Day, in which our very own Green Cay Wetlands is highlighted! … Hooray! Us “Marsh-ians” LOVE World Wetlands Day! OK, I admit I’ve never heard of it before. On the other hand, EVERY day is a good day in the marsh! And for all our sins here in Palm Beach County, we *DO* have a pretty substantial wetlands presence, and a general population that is interested in keeping it that way. Alas, global warming is going to cause a massive population migration away from the Florida shorelines – probably within 50 years. Expect a huge increase in pressure to drain more swamps and marshland. Our battle to preserve has only just begun. Yayyyy! Hee, Marsh-ians, I love it!! Every day is World Wetlands Day for us! And you’re absolutely right… Continued and stepped-up, proactive efforts to protect and preserve these wonderful spaces in the face of continued loss, and global warming, is CRITICAL. Such a good point. …. If anything, I have *understated* the impact global warming will have on our wetlands – and in Florida, the flatwoods as well. The lions share of our population here live east of the Atlantic Ridge (in our county, roughly east of I-95). In our children’s lifetimes, the new shore line will move west to US-1. In the meantime, the new-normal droughts in the mid-west and high plains will cause a relocation of agri-business. Weather-wise, Florida will stay fairly stable; so expect a big increase in food farming. The sugar industry will head offshore, and will be replaced by vast fields of vegetables and grains. I’ll bet wheat and soy farming becomes big business down here. …. So we have population pressure coming in from the east, and agricultural pressure squeezing in from the west. In between the two lies the bulk of our wetlands. And at the very least, the wetlands are essential for providing the water needed for both those pressure waves. No wetlands means no irrigation for the crops, and no drinking water for the population. …. The only way to deal with this situation is to start planning NOW – but nearly half our population still believes that global warming is either a hoax, or grossly overstated. Think any meaningful planning is going to happen anytime soon? IMHO, not in time. Finally, a national day that makes sense. You’re right, very hard not to be passionate about these wonderful areas. Hooray for wetlands and this interesting bird. We don’t want to disappear him. The stork photos are great. Thanks so much — it’s incredibly wonderful to see them returning in force, this year…. Thanks so much!! It’s absolutely imperative that we do so — and really kick up our efforts now, in the fact of global warming. Truly critical. They’re such beautiful lands, these swamps, marshes, bogs — I can’t imagine a world without them. Well you know how much I enjoy the wetlands! Fabulous post Feygirl ! You are truly the voice for mother earth. At this rate, you’ll be ready to be a international expert on environmentalism. Ah, what an INCREDIBLY sweet thing to say! You made my week!! Fabulous shots! We really need to preserve areas like these. You’re absolutely right… Now, more than ever — global warming is really beginning to impact areas like these, and will continue to do so. I can’t fathom living without them. Oh thank you for this..Out woods are protected wetlands and I should write a post..thank you.. Stunning photos! Yes, let’s keep wetlands protected and clean. Thanks so much! YES… They need our help, as much as we can possibly afford. The need to help will only increase with time.